A jewel of a book. We love the teeny-tiny pics. The atlas we pick for our own shelves. Not all atlases are the same, and this gorgeous example really stands out from the crowd. 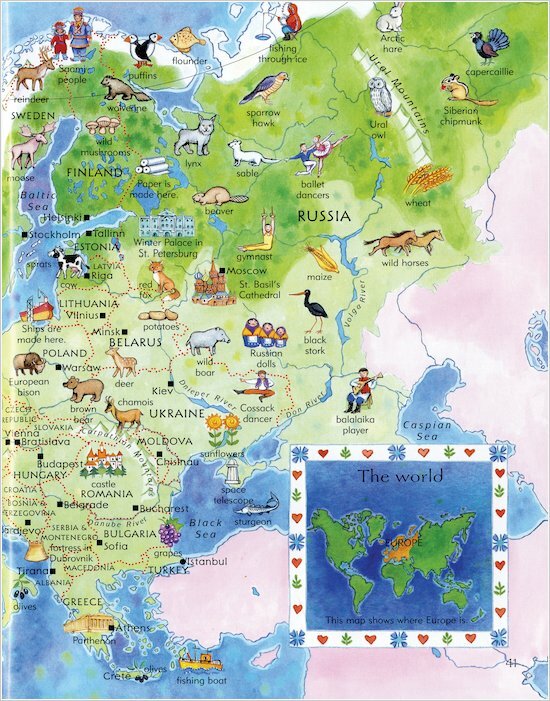 In tiny hand-drawn pictures which sparkle from brightly coloured maps, it takes you on a visual journey from the hot plains of Africa to the Arctic tundra. You can spend hours spotting the plants, animals and landmarks of each place. 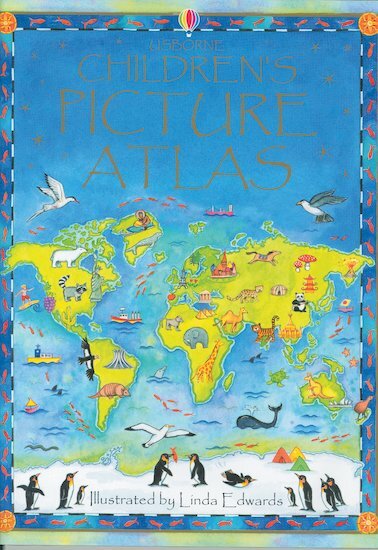 A truly beautiful picture atlas which shimmers with colour and detail.